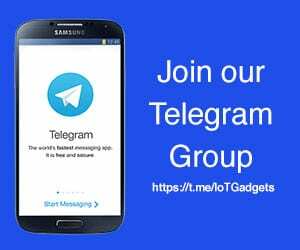 Samsung, as we know, loves to introduce first-to-market smartphone features, and has been quite effective in its efforts. However, the company seems to be just a step behind Apple when it comes smartwatches. Apple has just beaten Samsung to market by launching its Apple Watch 4 equipped with an ECG sensor. The sensor system allows users to take an ECG test by simply touching the all-new Digital Crown of the watch. 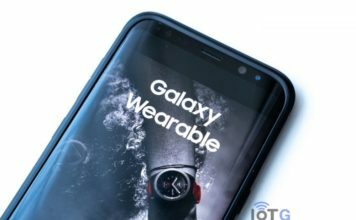 However, a new patent, filed by Samsung at the United States Patent & Trademark Office (USPTO), tells that the company also has similar features in tests which might make their way out in a future Galaxy Watch and/or other Samsung wearables. The patent is pending at the USPTO and Apple has managed to pull the rug out from under Samsung in the meantime. So it’s clearly a sensor designed to detect biological information of the user. This may include (but not limited to) blood sugar levels, body fat levels, body temperature, sweat, and creatinine levels. But how’s Samsung planning to achieve that? Let’s break down the patent application and figure it out. As can be seen in Samsung’s patent FIG. 3A and FIG. 4 below, the company plans to configure a watch strap to accommodate a detachable sensor in it. The strap part seemingly includes a wiring configured to connect it with the main body, so as to transmit biological signals. 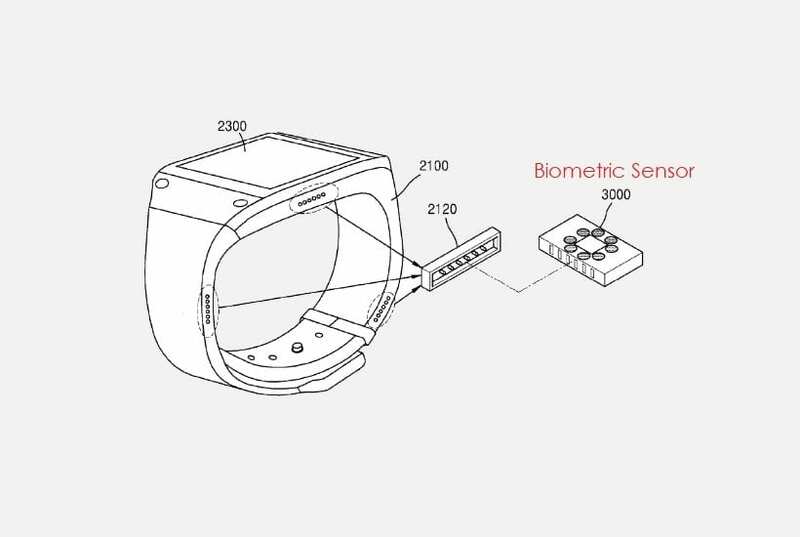 Samsung has placed as many as three sensors in one single watch. 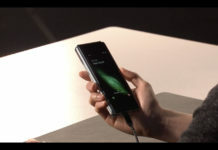 But it’s a patent, and Samsung’s probably done that to cover every possible angle it can pursue within the real device. Or who knows multiple sensors for detecting multiple biological information. Another way Samsung plans to introduce the sensor is by placing it beneath the watch body, much like a SIM card. 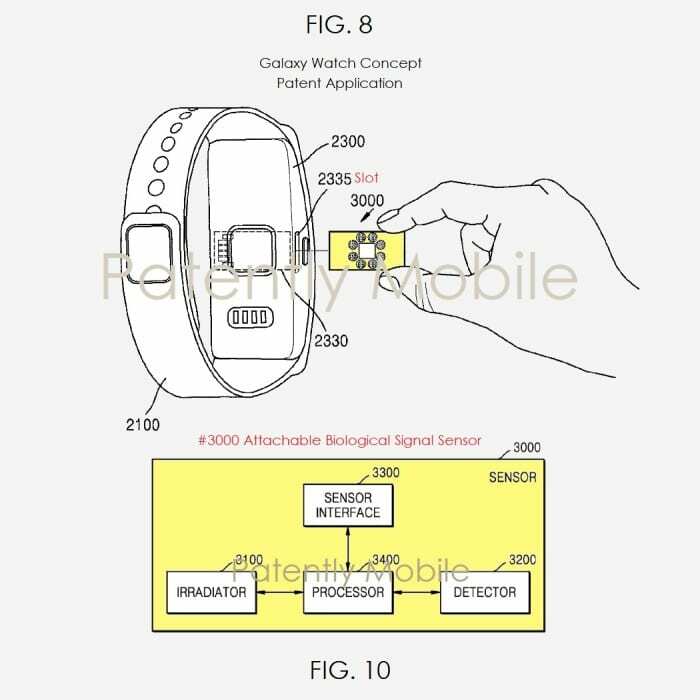 Samsung’s patent below also illustrates that the watch will accommodate an area for the user to place their finger on for testing. The sensor will be detachable as Samsung has illustrated it with a block diagram in the FIG. 10. 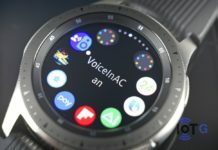 The main advantage of the sensor is that it is attachable to the device, instead of being built-in, is that it won’t drain the battery, which once again is a big selling point of Samsung wearables. 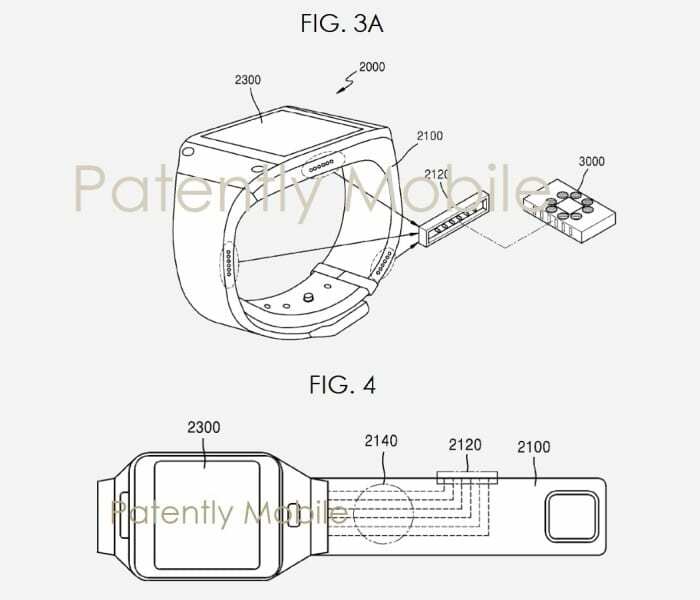 According to the patent document, the wearable device may also include a communication unit that transmits the biological information to an external device such as a smartphone or tablet. Apple, meanwhile, is also known to be working on ways to test blood sugar levels, blood pressure, and more through its own range of wearables. So the race is on between the two biggies to deliver next-generation health monitoring features. Apple has once again shown the early signs of leadership, but Samsung is also second to none. A new area of mobile technology dedicated to health has officially begun. Samsung filed the patent at USPTO in May 2018. And considering that this is only a patent application, one can’t tell if all the features that are shown will make way into a real device. And even if they do, there’s no time frame as to when.